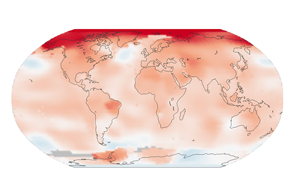 This animation shows the seasonal cycle in global temperature anomalies for every month since 1880. 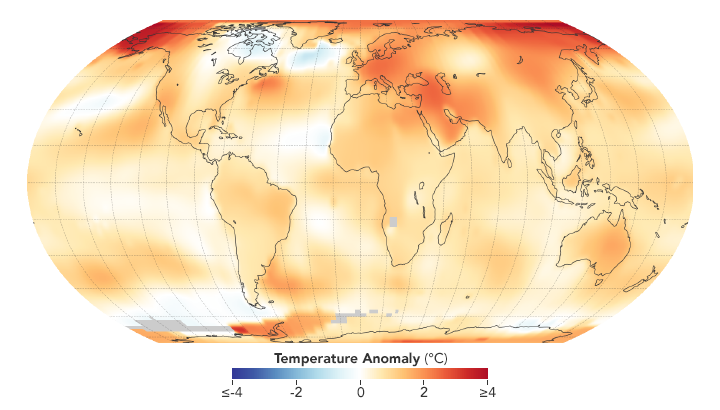 Each line shows how much the global monthly temperature was above or below the global mean from 1980–2015. 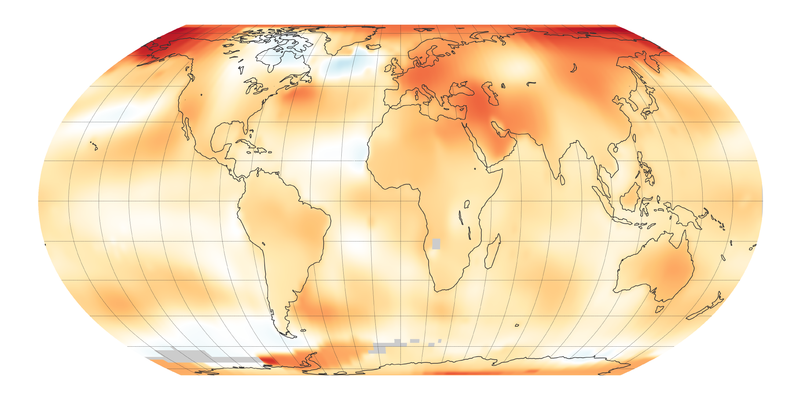 The column on the right lists each year when a new global temperature record was set. 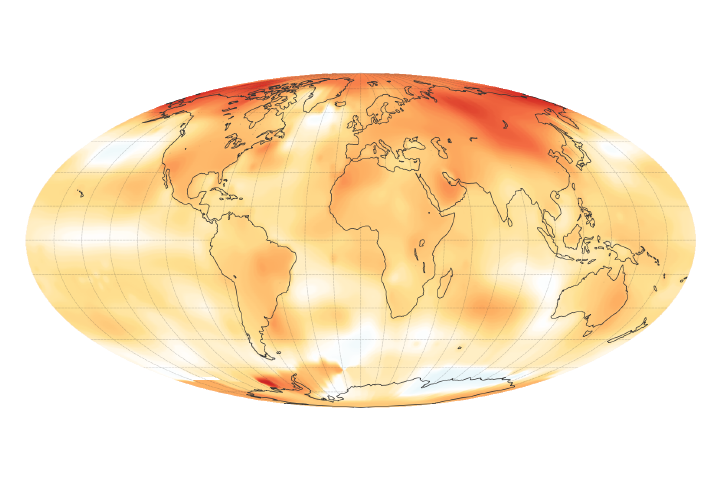 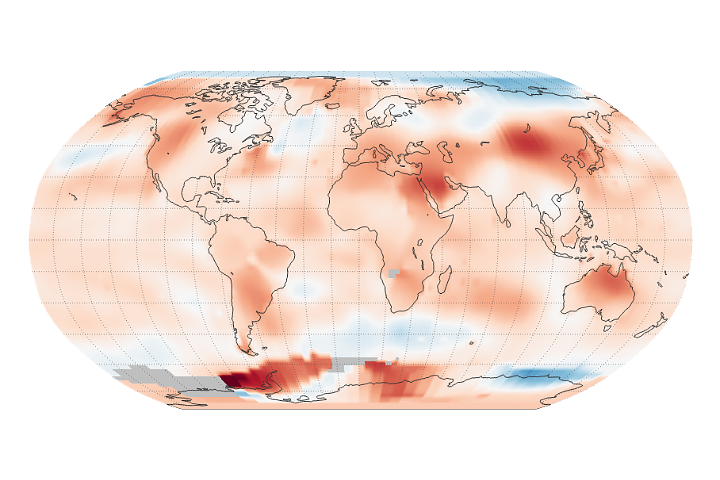 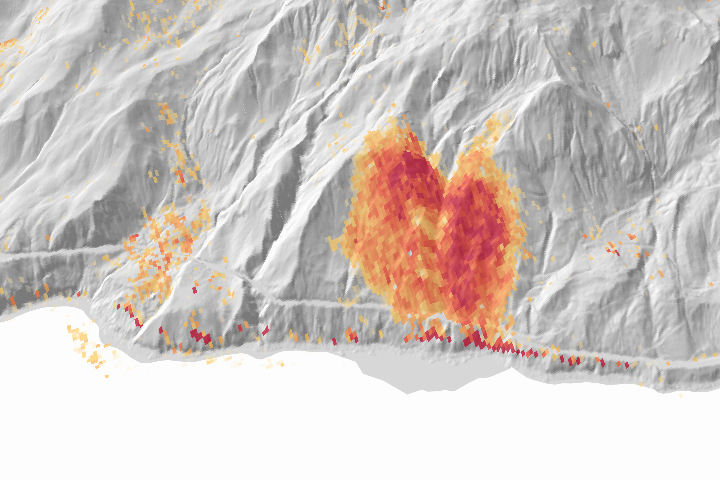 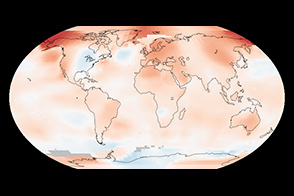 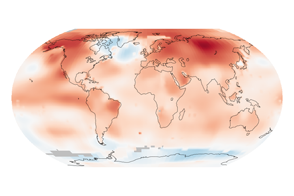 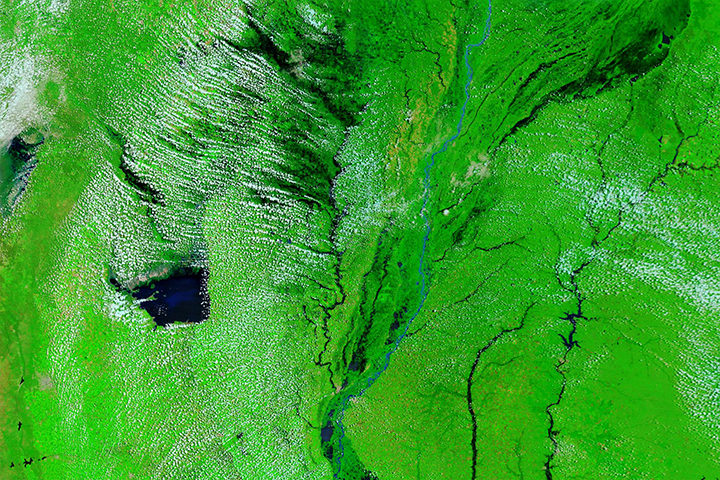 These seasonal anomalies are drawn from the Modern-Era Retrospective analysis for Research and Applications, version 2 (MERRA-2), a model run by NASA’s Global Modeling and Assimilation Office.